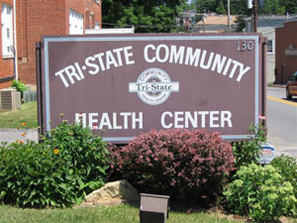 Tri-State Community Health Center (Tri-State) was incorporated as a private non-profit entity in 1987. 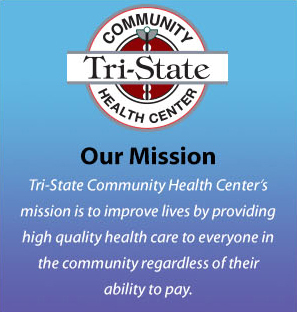 Tri-State was established by the community to help assure that comprehensive primary healthcare services would be available to the area’s under-served, rural population with a high concentration of low-income residents. Tri-State operates five community health center sites that offer community-based primary care, preventive health services and Ob/Gyn. The sites are located in Allegany and Washington counties in Maryland; Fulton County in Pennsylvania; and Morgan County in West Virginia. These offices serve residents in each of the respective counties, as well as the surrounding areas. Although, the primary target population for Tri-State Community Health Center is low-income, uninsured and underinsured individuals and families, we serve all patients with and without insurance. For your convenience, our office participates with most insurance companies and will even submit to workers compensation and motor vehicle accident insurances. All five sites are located in extremely rural communities with limited employment opportunities and medical services. Due to the limitations, these communities are economically challenged and have high rates of uninsured, unemployment and poverty. Tri-State locations, partnerships, outreaches and comprehensive services allow the organization to address the unique needs of the rural population.